Today, Facebook-owned messaging service WhatsApp latest version 2.19.20 available on the App store with the new settings called Screen Lock. Using this new feature, you can lock your App with Touch ID and Face ID iPhones. So after enabling Screen Unlock for WhatsApp, your app has one new layer for security and your texts conversion will stay safe and secure. 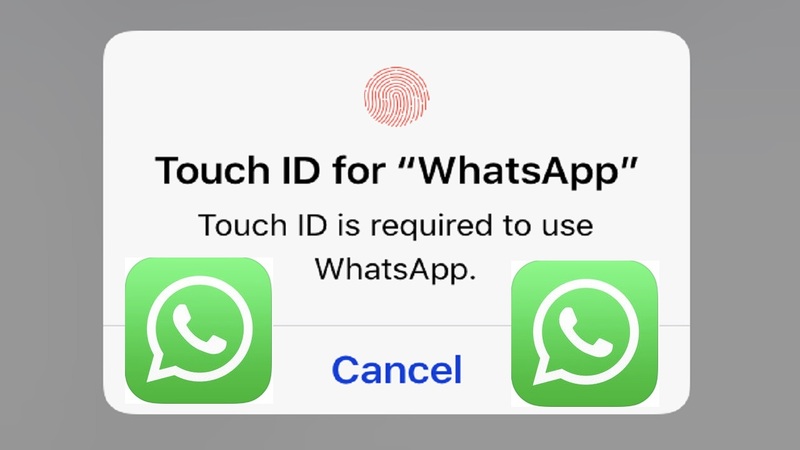 To do this feature turn on, let’s see the steps by steps guide to enable Touch ID for WhatsApp on your iPhone. Before getting started following steps, make sure that you’ve latest WhatsApp installed. Open the Apps Store, enter WhatsApp into the search bar and confirm that you have the latest version. WhatsApp version 2.19.20 is latest for Screen unlock feature. Here’s Touch ID supported iPhone model Names: iPhone 8 Plus, iPhone 8, iPhone 7 Plus, iPhone 7, iPhone 6S Plus, iPhone 6S, iPhone 6, iPhone 6 Plus, iPhone SE, and iPhone 5S. Also, when enabled user will need to use touch id or face ID to unlock WhatsApp. Even though you can still reply to messages from notification and answer calls if WhatsApp is locked. If you’ve any question concern WhatsApp won’t update, WhatsApp not showing latest update on the Apps store, then comments below, we’ll help you! Do you want to look at this feature for Instagram, Facebook Messenger, and or Apple’s native iOS Message App then give your feedback in comments!